A haven of relaxation, Spa Western presents a full range of soothing and re-energizing facial and body treatments. Choose from a wide variety of invigorating, hydrating, anti-aging, and seasonal facials or try one of our firming, detoxifying, and sensorial body treatments. Keep your lash game strong and your summer skin glowing all winter long! Spa Western offers lash lifting and tinting that gives your lashes that extra oomf with no maintenance! Or try spray tanning using Sjolie all naturally derived, certified vegan, and paraben, erythrulose, and fragrance free spray tanning solution. Spa Western offers full body and face waxing from our licensed estheticians. You'll get professional and exceptional service, all in the privacy and comfort of our relaxing and clean waxing rooms. Our limited edition facial incorporates the purest ingredients from each season's harvest. A delicious cocktail of fruit extracts packed with natural vitamins and minerals provide antioxidant benefits and essential nutrients to restore your skin's natural radiance. Ultra calming, soothing treatment for sensitive and reactive skins incorporating healing Spa Thermale water and specially selected botanicals to provide immediate and lasting relief and strengthen the skin. A double layer cocooning mask in combination with our unique decongesting facial massage with chilled porcelain spoons immediately calms and soothes your skin. 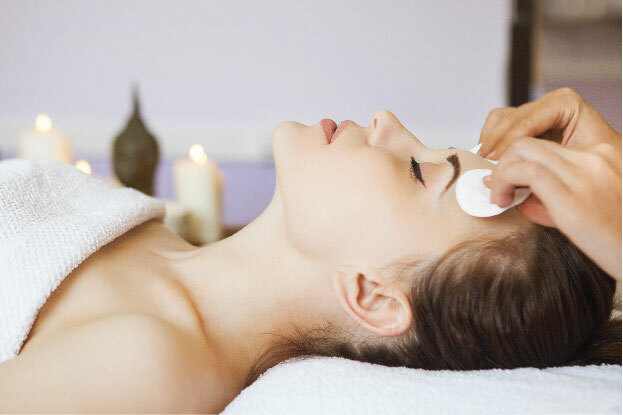 This mini facial is ideal for those on the go or for younger clients. Your skin is cleansed and after a skin analysis, your aesthetician focuses on either exfoliation, masking, or extractions to give you balanced healthy skin. Using the Perfect Shape Youth Serum, this facial instantly reshapes, redefines, and protects the facial contours and smoothes the decollete for age-defying results. For maximum results, we recommend purchasing your own Perfect Shape Youth Serum and following an at-home regimen along with regular facials. Inspired by the Sothys Fil de Vie concept, the Youth Program prescribes both preventative and treatment-oriented action to care for the skin and embrace youth at any span of life. Sothys uses a scientific approach to target wrinkles and slackened skin. Expert application methods of exfoliating, stimulating massage, and double dermo filling mask leave the skin feeling fresh, plump, and youthful. This replenishing and hydrating treatment is our solution to quench thirsty skin and combat dehydration. A combination of hyaluronic acid and patented Boletus extract reactivate the natural hydration levels to reveal a more youthful complexion. MOisturizing serums, ultra-nourishing massage cream, and enveloping mask restore skin's natural softness and suppleness. Men rarely pamper themselves, having a tendency to limit their grooming routine to just the essentials. Our Men's Facial is an energizing facial that uses the power of volcanic rock for its rich magnesium content to boost and detoxify a man's skin. This treatment combines relaxation and efficiency for more resilient skin and a flawless complexion. This refreshing & anti-aging treatment addresses the specific concerns of the eye area. A vitamin and hyaluronic-enriched serum coupled with a relaxing eye massage using chilled porcelain spoons brings immediate relief to tired, strained eyes and helps improve the appearance of dark circles. A fresh tensor gel mask and eye smoothing patch diminish puffiness and provide an instant lifting effect. A combination of two of our most potent anti-aging treatments. Get the instant age-defying results of our Perfect Shape Facial and then move on to a refreshing eye contouring treatment that addresses the specific concerns around the eye area, like wrinkles and dark circles. An intense multi-action peel combining Lactic acid and plant extracts helps even out skin tone and combat the signs of aging. Promotes a softer more hydrated skin while stimulating natural collagen production, diminishing fine lines and wrinkles and repairing the effects of sun damage. 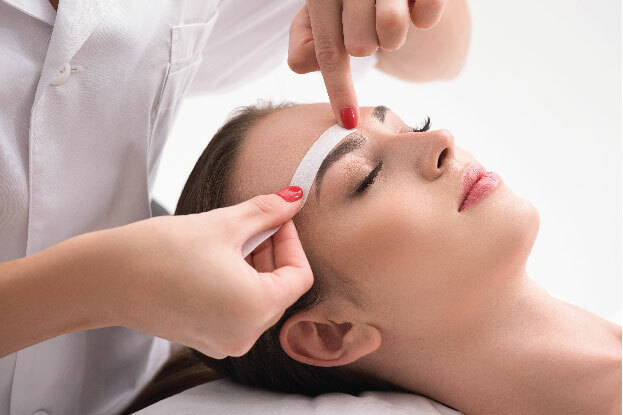 Experience a deep exfoliation and hair removal with dermaplaning - safe and highly effective physical exfoliation using a sterile, surgical scalpel to gently "shave" the skin's surface. Dermaplaning removes the top-most layer of dead skin along with fine vellus hair (aka peach fuzz) to reveal smooth, hydrated healthy skin. A gentle, yet effective dual-action exfoliation using an active combination of glycolic and salicylic acids to help lift away dead surface cells to reveal a clear, even complexion. Try our most popular combination of services and get the best of both treatments. Dermplaning and our soothing facial go together perfectly to give you a deep exfoliation, followed by an ultra relaxing, soothing treatment the will leave your skin feeling luxuriously smoothe and healthy. T.C.Actif Peel is an intensive skin exfoliation and peeling treatment that treats concerns of hyperpigmentation and photoaging. Highly effective in smoothing the skins surface texture while diminishing the depth of wrinkles and stimulating collagen production for a more youthful appearance. Add on any of our treatments and get an extra boost of nourishment, relaxation, protection, & exfoliation. Treat your body like a temple with this detoxifying and firming treatment, guaranteed to leave your body looking sleek and smooth. This treatment begins with dry brushing to stimulate lymphatic drainage and detoxification. Your body will then be covered in a European inspired Espresso Limón Slimming Body Oil formulated to purify and tone the body. This luxurious treatment will keep your body looking slim and fabulous all year round. Embark on an enchanting sensorial journey filled with floral notes of Cherry Blossom and Lotus Flower to relax the body and nourish your skin. Our signature body treatment incorporates a warm exfoliating cream to soften and smooth the skin. Unique, invigorating feet massage flows into a relaxing full body massage using warmed aromatic shea butter to bring blissful relaxation to mind, body, and soul. This treatment begins with an application of the Noni Skin Elixir, known for its astounding healing and tightening characteristics. After you relax in the body cocoon, you are hydrated and nourished with a warm coconut hydrating milk body massage. This amazing treatment will leave you with a healthy, tropical glow. Our back facial addresses specific concerns of the back according to skin type. It is intended to clarify and soften skin, helping to improve its appearance and texture. It will leave you feeling fresh and relaxed with a healthy, glowing back. Ditch the falsies and give your natural lashes extra curl and definition for 4-6 weeks with Spa Western's lash lifting treatment. This low maintenance, gentle treatment is perfect for anyone who wants to condition and enhance their natural lashes. Ditch your mascara and give your eyes a "no muss, no fuss" look with lash tinting. Lash tinting uses semi-permanent vegetable dye to add color, shape, and thickness to lashes in need of some new life. Tinted eyelashes last for 4-6 weeks, don't run in water, and will give your lashes a bold, volumizing mascara look with no maintenance! Achieve the perfect tan with none of the damaging effects of UV exposure. Spa Western's Sjolie spray tanning solution is all-naturally derived and certified vegan, paraben free, and erythrulose and fragrance-free. Buy 3 tans, and get 1 free! Try these two services together for the ultimate lash look! 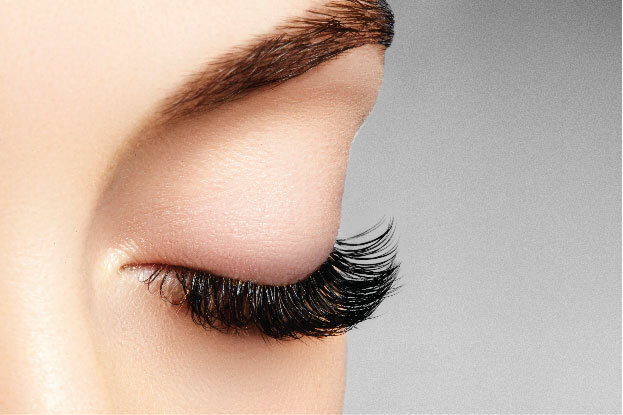 You'll leave with more voluminous, darker, enhanced lashes that require no make-up and no maintenance for 4-6 weeks! Download our brochure to view a full menu of services available at Spa Western & Spa Western: Wellness & Recovery. Coming in for a service? Save time and fill out our Client Information form before you come. Print out a copy and bring it or e-mail it to your skin care therapist at megan.burnach@westernracquet.com or danielle.sterry@westernracquet.com. Call 920.497.1161 to book your Spa Western appointment today!